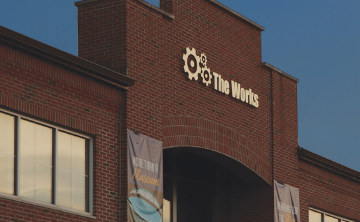 The Works is offering an all-access pass for adults to discover science, art, culture, and more. Enjoy a variety of activities, sign up to create your own glass, PLUS, explore the museum at night! From high impact helmets and performance uniforms on the field to the flat-screen TV bringing you all the action (and commercials! ), chemistry has made it possible. We will go “Behind the Science” to learn about the modern chemistry and materials that bring you The Big Game, now and in the future! This exhibit has been delayed due to the government furlough. NASA’s Apollo missions blazed a path to the Moon. A unique collection of exhibits and artifacts will showcase the amazing achievements of Apollo and NASA’s plans for the next giant leap as we set our eyes on returning humans to the Moon and , eventually, Mars. NASA is leading a sustainable return to the Moon with commercial and international partners to expand human presence in space and bring back new knowledge and opportunities. Additional exhibits will showcase NASA’s new rocket, the Space Launch System, and the Orion spacecraft that will be used for these bold new journeys. Experience the art of glassblowing! Create your own glass heart with individual guidance from our professional glass artist.